Look no further than our updated list of solemnisers for your wedding planning needs in 2019/20! The moment you say “I do” is one of the happiest and most important moments of your life, and that makes finding the perfect solemniser to officiate and marry you and your bae all the more important. To save you the hassle of searching through the long list of available solemnisers on the Registry of Marriage (ROM) site, we’ve put together a list of 29 solemnisers who are still officiating weddings, all highly recommended by real brides-to-be, for couples who are tying the knot in 2019/20. As our list is updated only yearly, once you have selected a solemniser of your liking, do double check the license expiry date via the ROM website to prevent any disappointment. 1. You only need to hire a solemniser if you are getting married outside of the Registry of Marriage. Not everyone needs to engage a solemniser to get married. 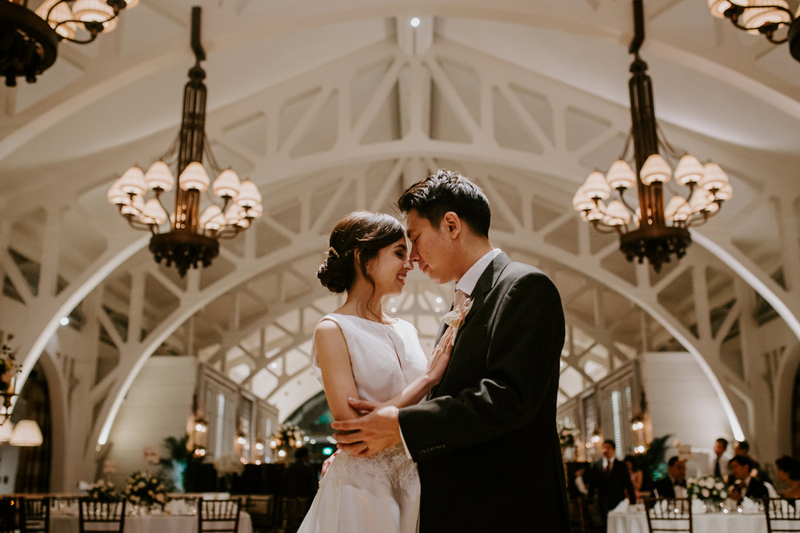 If you are planning to hold your solemnisation at a venue outside of the Registry of Marriage (ROM), then you’ll need to engage a solemniser from our updated list of ROM-approved officiants below. For couples who are solemnising at the ROM, you do not need to search for a solemniser as one will be assigned to you. 2. You should book your solemniser at least three months in advance. To ensure that you get your choice of solemniser for your wedding, it is recommended that you book him/her at least three months before your solemnisation date. However, you may contact your preferred solemniser more than three months in advance to check on their availability and book their services, especially if they are very popular amongst soon-to-be-wed couples or if your solemnisation date is a popular one. However, do take note that some may not accept bookings too far in advance. 3. Meet your solemniser in person before the day of your solemnisation. Once you have engaged a solemniser, it is always good to arrange for a quick meet-up with him/her to sign the Solemniser Consent Form. At the same time, you can run your solemniser through the order of events for your solemnisation and take the opportunity to know each other better before the actual day. If you are unsure about the solemnisation process, do ask your solemniser to explain the process so you’ll have a better idea and can prepare for it. You should also ask for his or her buddy’s contact, in the event of a no-show or delay in arrival on the day of your solemnisation. 4. Gift your solemniser a small token of appreciation. While solemnisers do not charge a fee for their services, it is only courteous to gift them with a token of appreciation for taking time and effort to officiate your wedding. The amount gifted is entirely up to you, but if you are unsure of how much you should gift them, don’t be afraid to ask how much he/she usually receives from previous weddings they’ve officiated. Most solemnisers are quite open to share about how much they’ve received in the past, so you can use that as a gauge. 5. Double check with your solemniser if they would like to stay for the celebrations after your solemnisation. Most solemnisers usually leave after the solemnisation ceremony is over and do not join the celebrations after. Hence, it is not necessary to include them in the celebrations. However, double check with them if they wish or expect to join in the celebration after the solemnisation ceremony to avoid any misunderstanding on the day itself. Where Can I Find A Solemniser? While a full list of authorised solemnisers is available on the ROM website, it may get too time-consuming and tedious for a bride-to-be to go through to find the perfect solemniser for her dream wedding. To save you the hassle, we’ve done the footwork for you and put together an updated list of 29 solemnisers who are still officiating, recommended by actual brides, to help you find the solemniser for your once-in-a-lifetime.